"Always refreshing! So good. Kathy is my favorite but all are great! Super relaxing setting, too.﻿"
"I've had neck and back pain since a car accident 9 years ago and recently my wife and I lost our home in Paradise CA to the Camp Fire. We've been going through a lot and dealing with a lot of stress (which doesn't help the neck pain). We decided to get massages to try to take care of ourselves and are so glad we came to Refresh. The massages were really good. They are very professional, kind, and super good at massages. When we first went in Kristen and Renee took care of us and we decided to come back for more massages and are being taken care of by Kristen. She is attentive to problem areas and able to apply just the right amount of pressure to break up knots without causing pain." "Heather does excellent deep tissue work. She tunes into the problem and gets the job done. Gifted therapist that I highly recommend!!!!" "I had the most AMAZING massage by Ashley the other day. I don't think I can say enough good things about her. She honed in on all the right areas and almost felt like she could read my mind during haha! Don't let her petite frame fool you, shes very strong and VERY talented. I've has mediocre massages in the past from other places and really didn't have any expectations going into it, but wow. If you have any super sore spots or pain DEFINITELY check this place out. :)﻿"
"I just got the perfect massage. Heather knew exactly what I needed with very little instructions. I've had hundreds of massages over the years and that was one of the best. "My wife went for a facial and I went for a massage. Not only was the facility in pristine order but both of us had brilliant experiences. I recommend Refresh highly." "This little gem is a great find! Got a fantastic massage here for myself and my besty, they were able to get us both in at the same time and we both agreed one of the best massages ever! The girls here are super sweet and the location is relaxing and quiet.. they have great prices and we really enjoyed our massages!﻿"
"Kristen did an excellent job of listening to feedback. This was one of the most comfortable massages I have received.﻿"
"We enjoyed the setting and the massages. I live 40 mins away but I will definitely be back and will utilize the tranquil porch area pre or post massage wit some tea. The therapist was very good, and all the staff were friendly and pleasant.﻿"
"Kristen worked her magic !! Feeling so much better than when I first visited. Such a pretty, peaceful setting and friendly staff all round. A real treat for sure ." "If your looking for a spa this is the place to go!! It is clean and adorable inside and out!! I love the massage therapists there!! Had an amazing massage today by Kristen and I feel amazing! !﻿"
"I had an amazing massage by Heather . I will definitely be back!" "What a incredible discovery. Couldn't say more." "I have visited Refresh twice when visiting the area and absolutely love it. Great location, friendly staff and some of the best massages I have ever had. Highly, highly recommend!" "Iwanted to treat my daughter in law to some pampering, so made an appointment at Refresh for us. We were met with warmth and humor and professional skills. Between us, we enjoyed a facial, massage and foot scrubs, all heavenly. It's a cute building, everything is tidy and clean and they do their jobs well. We left REFRESHED and happy. It was a nice way to tune ourt for a while and take good care of ourselves. We will do this again." "I love this place. As a regular customer, it is my retreat into peace, serenity and loving care. TheI staff is welcoming and caring, the environment is attractive and comforting.....and yes, very Refreshing!" "I am continually impressed by Refresh. The massage therapists are all fantastic and the atmosphere is relaxing. I have been well taken care of the three years I've been coming. They've fixed me up through injuries and stressful life events as well as taken good care of me through a pregnancy." "Love Kristen! She's amazing. I always feel so relaxed when I leave and everyone is wonderful and friendly there. Very grateful to have sucha a wonderful massage place in Sutter Creek. Thanks Kristen"
"Fabulous massage from Kathy. Deep tissue. She certainly loosened up all my knots. Great place for massage." ﻿"Recieved the massage as a Christmas gift from my son. Heather wad wonderful and had me so relaxed. Can't thank you enough"
﻿﻿"Such a great place! They really make you feel welcome and very relaxed! The room was very clean and comfortable! I had a massage from Kristen and it was amazing! Thank you I will be back"
﻿"Love the services at Refresh!! Heather always does a great job!" "Refresh is the best most relaxing place in Amador County!! They are always quick to accommodate you and the staff is AMAZING!!! Thank you To Heather for making me feel fabulous every time I see you!!" "Came from out of town to relax this weekend. Refresh was the topping on the cake! We both enjoyed fantastic massages. Thank you Refresh!" ﻿"Kathy is amazing. She helped some lower back muscles, with an amazing deep tissue massage!" "Great experience! They were ready for me when I got there, had cucumber water for me, & took their time! I had Kristin, she was fabulous! 100% will return and ask for her. She focused on my back, which I had requested and took her time. She was an awesome massage therapist. Great little patio out front, calming music, friendly staff. Adorable little spa. I can't wait to come back. Very pleased. A+﻿"
"This is the second time Kathy did the massage for me..She is AWESOME, I know that i will be coming back once a month, at least..The place is very cosy..THANK YOU, KATHY...i feel that you are working getting the kinks out ..﻿"
"I just had the best massage ever with Ashley. I honestly thought the massage was longer than 60 minutes. Don't let her petite size fool you, those hands know how to get out the knots." "Relaxing atmosphere!! Walked out feeling so refreshed!! Professional staff! All around wonderful experience! Will definitely go back again!!" "I can't believe I haven't reviewed Refresh at Sutter Creek. For the past four or five years I have been visiting Sutter Creek 2-3 times a year. Every time I go to Sutter Creek, the highlight, and I mean that seriously, the highlight is my hour massage and hour facial at Refresh. Kathy does an amazing job of having a spa that makes you welcome, is relaxing, is reasonably priced, and every therapist I have seen there warm, kind and knowledgeable about body work. If you are in Sutter Creek and are worn down and weary feeling and need/want to do something where you pamper and treat yourself this is it! Rejuvenating doesn't begin to describe Refresh. The way I rave about it when I am recommending friends/colleagues visit Sutter Creek you would think I was a QVC infomercial. Take care of yourself and visit, you'll be glad you did.﻿"
"For my husband's birthday this year I decided to give him a gift of relaxation. I booked him a 90 minute massage at Refresh. He absolutely loved it! He said the therapist listened to him about where his aches and pains were and she really tuned in to the level of pressure that was perfect for him. He was like a limp noodle after and very happy. The spa is hidden off the road and as soon as you go through the gate you begin to feel more relaxed. Cool shade and a bubbling fountain greet you just before you go inside. Inside... oh that wonderful spa smell, clean and quiet office and a very warm and welcoming person behind the desk make this place the whole package. Treat yourself (or your spouse) to a gift of a little bit of heaven.﻿"
" love Refresh and all of the massage therapists there. They all have unique technique and they are very friendly and listen so well, which is really important. This is the most unpretentious spa I've been to and the only spa I've been to where I can't pick a favorite masseuse. The atmosphere is very relaxing and cozy. The beds are comfy and heated and despite that the building itself is very small I never feel crowded. Prices are $65 for an hour and $85 for an hour and a half which is comparable and even beats a lot of the pricing in the Sacramento area. The only complaint I have is that the parking lot is pretty tight, but you can park in either lot next to the post office and it is very close walking distance.﻿"
"Refresh at Sutter Creek was AMAZING! Myself and 2 family friends were just there this past weekend and it was fantastic. I called ahead to make appointments once I found it on google, and the owner Kathy was just wonderful. All 3 of us enjoyed our 90 minute massages so much that we can't wait to go back and make this an annual tradition. The place is so cute and everyone was so welcoming and friendly.﻿"
" My kids gave me a gift certificate to Refresh last Mother's Day. After a very stressful few months I scheduled my appointment. I had never had a massage before so I had some trepidation. The atmosphere was AMAZING. I felt comfortable right away and had a wonderful experience. I will definitely be back. Don't hesitate to give Refresh a try. It is truly a gem!!!" "My wife and I went to Refresh as an anniversary gift to each other. We looked at the Yelp reviews and decided to take a shot. Little did I know the experience would be so helpful we would return 2 more times in the next 2 weeks. I have been plagued with a sprained ankle for almost 2 years. I have gone to orthopedic doctor, acupuncturist who helped a great deal but I still had issues. I told my therapist about my injury and she finished the massage with extra stretching and massage around my ankle and surrounding tendons. Thank you Lord. Nothing in the 2 years of doctors, 14 trips to medical therapy, acupuncture or other massages did I receive as much relief as I did at Refresh. It's 45 min from home, reasonably priced and worth the trip. We were very pleased. My wife said her neck never felt better. Thank you Refresh. We will be back soon." "As you walk up to this quaint and calming facility, you are greeted by a charming patio area for relaxing or sitting under a canopy of trees. Upon entrance, it smells delightful. One can enjoy a cucumber water, tea, or other beverage and healthy snacks while waiting for your service. I was fortunate enough to see Kathy for my hour long massage. She found all my knots and made me feel SO much better. I was still in a euphoric state the next day. It is worth the hour-long drive up to Sutter Creek for this little slice of heaven. I re-booked for the next month already. Best massage I have ever experienced!" "I've been a regular customer of Refresh for years. Simply the best place to have a professional, therapeutic massage. Tucked away in a quiet location, an easy short walk from Main Street in Sutter Creek. Parking too, for those that prefer to drive. Wonderful, relaxing atmosphere. Dedicated staff that has been carefully chosen by the owner, Kathy, for their skill and professional demeanor. Kathy has a knack for attention to detail, and it shows. Definitely a great place to go for a relaxing massage." "Refresh is the standard to which we hold all massage services. The staff are wonderful - friendly, cheerful, and very good at what they do. The facilities are restful and uncluttered with little thoughtful amenities that make the experience more pampering. We've been regulars for years, and have gotten rave reviews from everyone to whom we've referred to Refresh. Our favorite therapist is Kathy, although I've heard no complaints about any of the other therapists that work there. Highly recommended!" "Lovely way to unwind: Choose the hour massage and finish with the bodywrap - first to loosen the muscles, then to moisturize the skin. Just as the spa's name implies, you will feel utterly Refreshed. Simple, clean, calming, and a client-centered. Refresh Spa gets top marks. I agreee with the reviewer who wrote that their primary purpose is to provide you with quality service, and not to push you to purchase products or engage in more services than you originally requested. Should you with to arrange for more than one type of service, while your room is being prepared between services, in good weather, you are invited to sit on the private, shaded deck with a cup of tea. The whole experience is a wonderful way to spend part of an afternoon!" "OK, I've been to many high end spas and have been on many cruise ships, the service I got at Refresh was as good, if not better than all of those places. Very friendly staff, excellent massage with hot stones. I agree with the previous reviews in the atmosphere being just wonderful. The best part is that they are there to provide a service and not sell products. They have some wonderful products, they send you home with a sample, but non of the product sales that you get a lot of the time. Lots of wonderful beverages and snacks provided. Just a relaxing oasis in a quaint little town. Worth the visit." "I often feel like I'm taking a risk receiving massage from somebody I haven't received from before, but Kathy did not disappoint! I like deep tissue and I've had some bad experiences with therapists who don't apply enough pressure, but Kathy is strong and her pacing was perfect; she's a master. She was also extremely tuned in to how much I wanted to talk, or not talk, not a skill to be taken for granted. And it is clear to anyone who steps in her space that she is passionate about what she does. My massage was so relaxing and there were so many little details that I appreciated about the space that afterwards I just wanted to stay in that massage room all day and just be." "Let me say that as a man I was very hesitant to get the full massage, facial and foot scrub. I'm glad I did it. This experience alone made or trip to Sutter Creek worthwhile. It was a two and a half hour adventure in pure relaxation. I was transported into a different world. I would definitely do it again. The staff was very warm and competent." "Sutter Creek in itself is a quaint town. Worth driving up for the day and looking around, and checking out all the little "gems" on the main street. 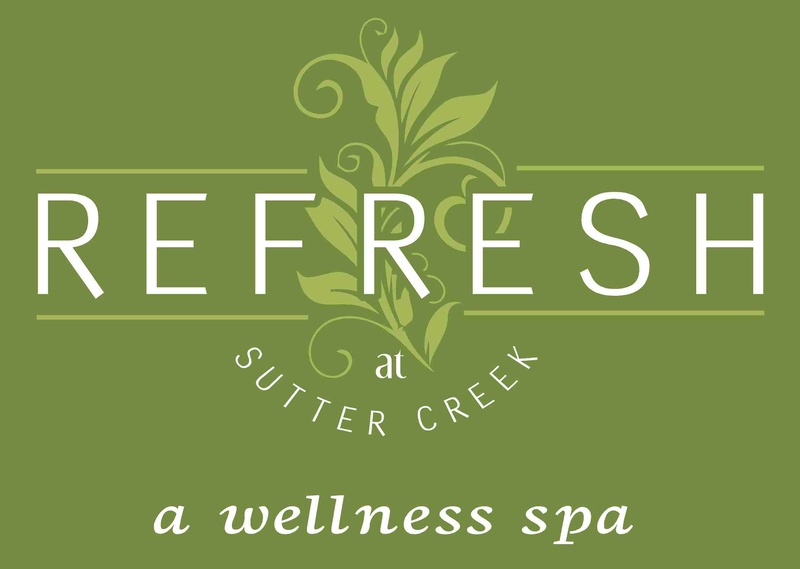 But if you do plan to visit Sutter Creek, you MUST schedule an appointment at Refresh. It does just that!! The walkway leading up to it is adorable and the inside is warm and inviting! Very Zen. Kathy is as friendly as they come and VERY good a making you forget about the world around you while you relax and enjoy the best massage ever!"